More than 1 in 5 government loans have gone to black, Asian and ethnic minority entrepreneurs. 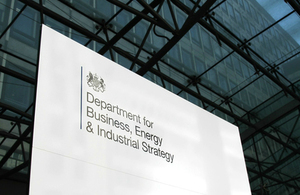 More than 11,000 black, Asian and ethnic minority (BAME) entrepreneurs have received government-backed Start Up Loans since 2012 according to research published today. Through our efforts to create a fairer society, we are ensuring that entrepreneurs from all backgrounds can access the finance they need to make their businesses grow and succeed. The government is continuing to look at new ways to tackle racial inequality in our society and make sure that everyone has the same opportunities to progress. The Prime Minister has previously made clear as part of the Race Disparity Audit launched in 2016 that if an ethnic disparity cannot be explained then there must be a change and we, as a society, must take action to tackle injustices. BAME employees often find they are not able to progress in traditional work environments so may choose to start their own businesses. Access to start-up finance is vital and we are encouraged to see government investment going into ensuring we have a diverse business community that reflects BAME talent and entrepreneurialism. Research reveals 5% of the UK’s small businesses were majority-led by someone from an ethnic minority group with 90% being led by someone from a white group. 13% of the UK population belong to a black, Asian, mixed or other ethnic group, according to government data. The World Bank ranks the UK one of the best places in the world to start and grow a business with 1,100 businesses starting every day in Britain – or 1 every 75 seconds. Small and medium size businesses support more than 13 million jobs across the UK. Research forms part of Race Disparity Audit to tackle injustices and inequality in society. Statistics correct as of June 2018.
. Support for ethnic minority entrepreneurs helps 11,000 businesses get off the ground. 2018-08-20.